Personalized Aztec Coffee Mugs Custom Printed in Bulk or Blank. 11 oz. Promotional, Inexpensive. Free Wraparond Imprint. Budget Prices in the USA and Canada. Wholesale advertising 11 oz. Aztec Coffee Mugs on sale. Lowest cost in North America. Free Art Design. American Clients pay no taxes. The unit prices below include your 1-color custom imprint. 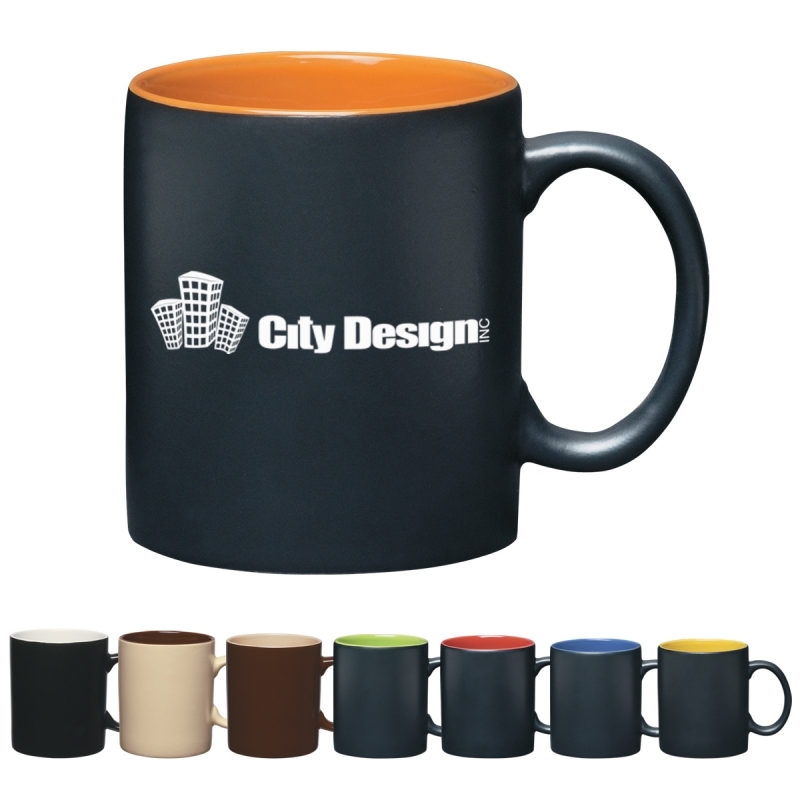 We also supply blank (not custom imprinted) Aztec Mugs at EQP (End Quanrity Price). The Aztec Mug with Orange inside is slightly more expensive: see below. Extra color: add $0.30 per color. Packaging: 36 pcs / 39 lbs. Mug Mailers are available.